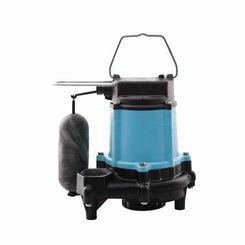 Typically sewage passes through piping by the force of gravity, but if you need to distribute sewage uphill, you will need a pump. 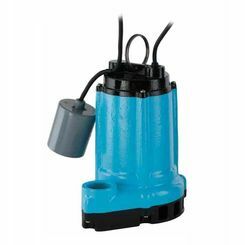 Any old water pump will not do, you need a heavy-duty sewage pump to get the job done. 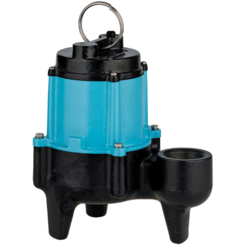 Take advantage of the great prices here on the best sewage pumps, as well as replacement pump parts for repairs. 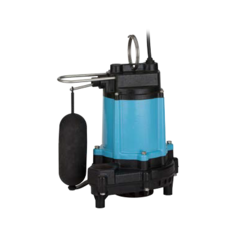 Simply put, a sewage pump has one job: to move solid and liquid waste between locations. 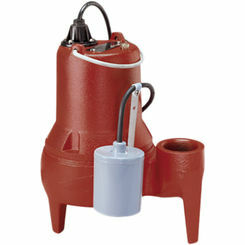 Sewage pumps are submersible and typically sit at the bottom of a sewage basin, such as in a septic tank. 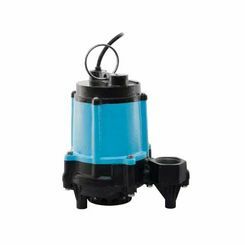 The intake for this pump is found as close to the floor of the basin as possible to make the draining of solids and liquids easier. 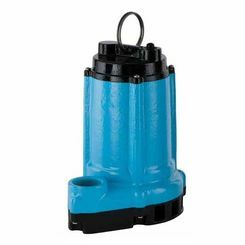 However, because your pump’s intake will be slightly off the bottom of the ground, it is unlikely it will ever be able to drain all the waste without manual intervention. 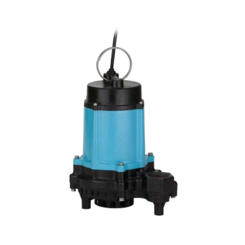 Many sewage pumps are capable of handling solids up to 2 inches (5 cm) in diameter. 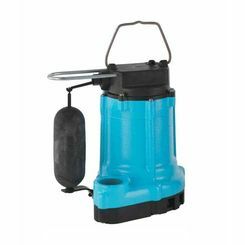 For larger items, commercial pumps are recommended. A bulb is attached to the pump. When the bulb reaches a certain height, it turns on a switch to start the draining action. When the liquid lowers the bulb to a certain point, the pump turns off until it’s needed again. 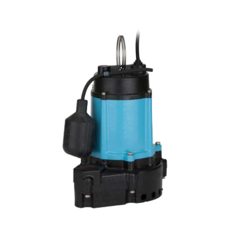 Sewage pumps come in many models and power capacities. which can make it confusing for the homeowner. The size of the pump is based on how much sewage it needs to pump out in gallons per hour. 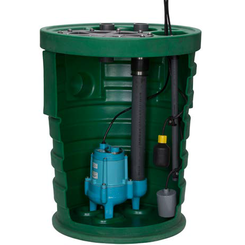 Typically, a common household sewage pump should be able to move 5,500 – 8,000 gallons of waste per hour. 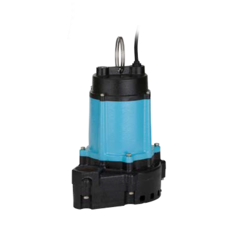 You want a pump that is designed to handle your dirty business. Still, it can be difficult knowing which pump to purchase for your situation. With that in mind, here are some tips. Start by checking the current size of your pump (if shopping for a replacement). 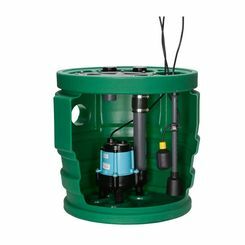 If you don’t have a sewage pump, remember that an average pump should be able to move 5,500 – 8,000 gallons of waste per hour. 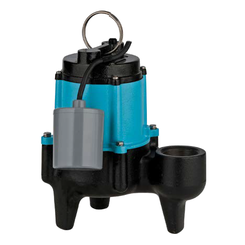 To determine the proper size pump, consider how many drains you’ll have running into your sewage basin. Residential homes don’t often create enough waste to require a 1 HP pump. 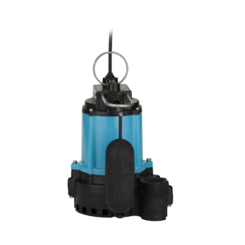 Here at PlumbersStock, we offer you the most durable and high-quality pumps from top names Grundfos and Little Giant. 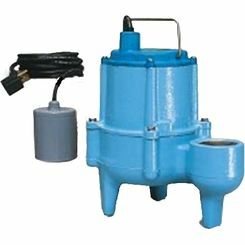 You can be sure you’ll have peace of mind knowing our sewage pumps are made of sturdy materials such as cast iron and stainless steel.